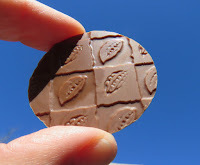 Buenos Dias mis amigos en chocolate. (Good day my friends in chocolate.) 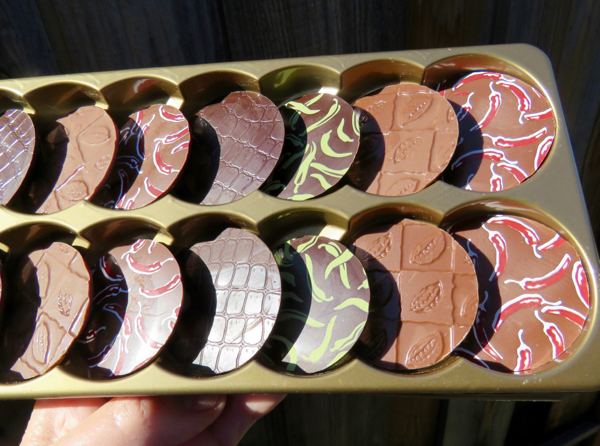 Today is Day #2 of Chocolate and Chili Theme Week. 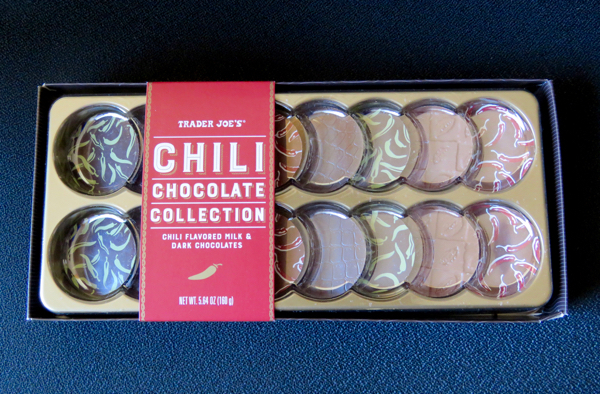 For the next few days I'll be featuring different spicy milk and dark chocolate rounds from Trader Joe's (Monrovia, CA) Chili Chocolate Collection (a 16 piece-assortment box with four different chili flavors). Today's Milk Chocolate Guajillo round was what you might expect -- a sweet, classic milk chocolate flavor with an up-and-to-the right slow burn from the guajillo chili/chile. The guajillo is a popular pepper in Mexico and the U.S. Southwest, with a tangy, bright flavor and a fruity, medium heat; and it is rated 2,500 - 5,000 SHU* on the Scoville scale that measures spiciness.